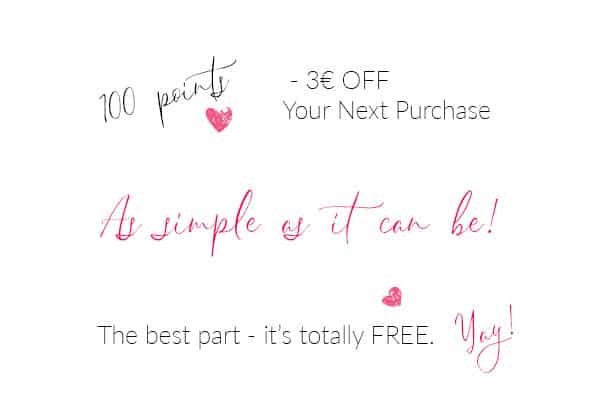 We don’t want you to buy a lot of props. 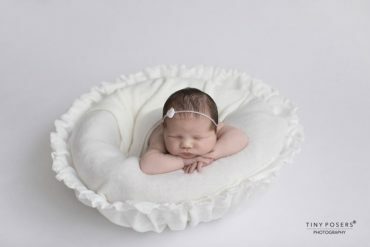 Our aim is to offer you Collections – matching props that are timeless yet chic so you could feel confidence during your newborn sessions. All props needed listed below. Special thanks to Kristina Mack from Tiny Posers for beautiful images. 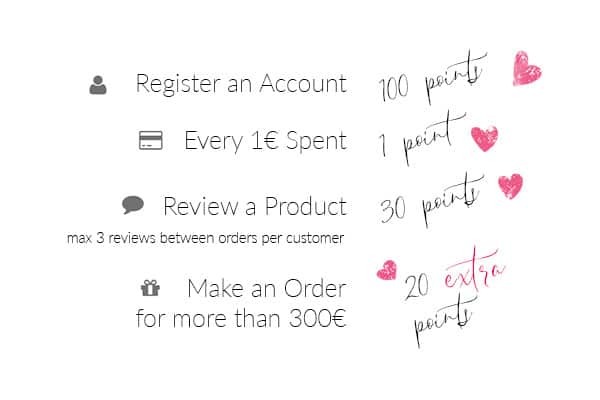 We don’t want you to buy a lot of props. 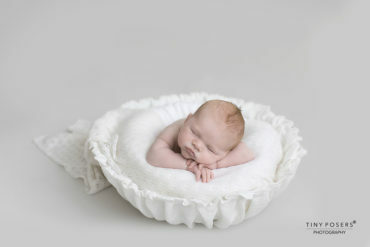 Our aim is to offer you Collections – matching props that are timeless yet picturesque so you could feel confident during your newborn sessions. All props needed listing below. 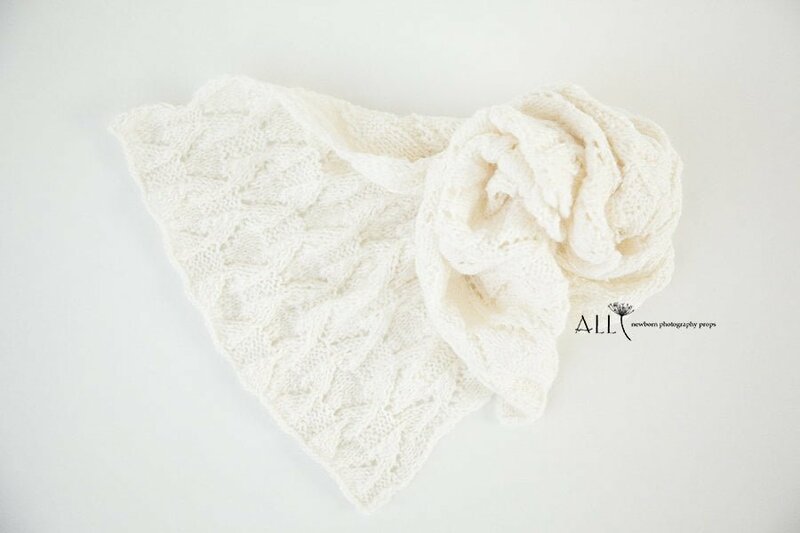 A gorgeous wrap with the feel of a favourite newborn girl photography prop. 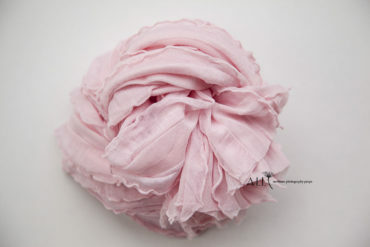 Romantic ruffled design and beautiful colour make it a wrap-with-everything fave. A piece of super stretch and soft fabric. 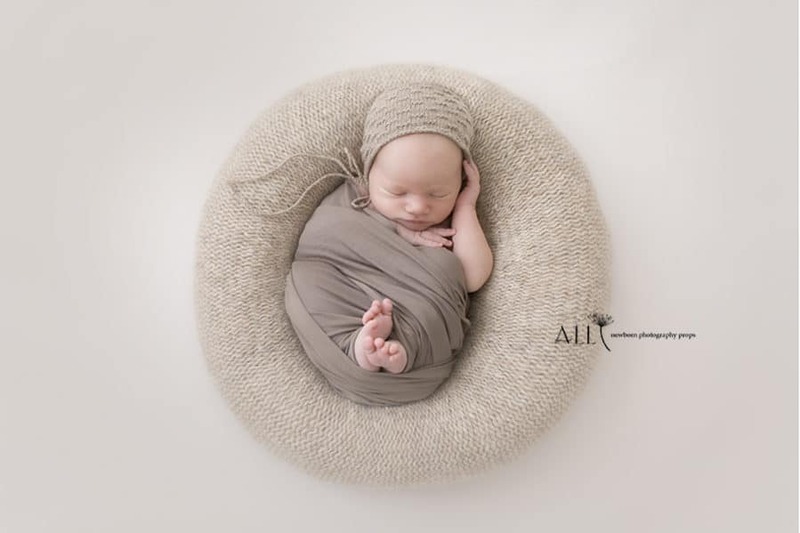 The wrap is cut to size and edges are left unfinished for organic and seamless wrapping. 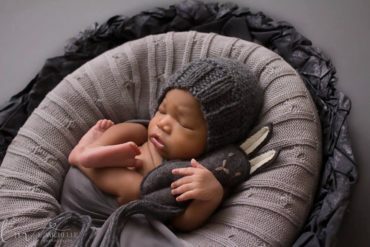 Mini Bunny in dark grey. 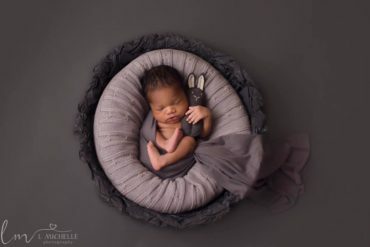 You can choose whatever colour you like to create your own unique newborn photo session setup! All props needed are listed below. 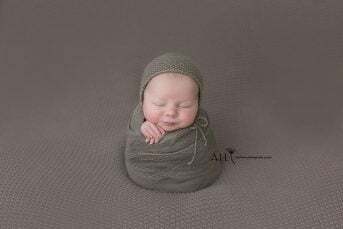 Special thanks to L. Michelle Photography for beautiful images. 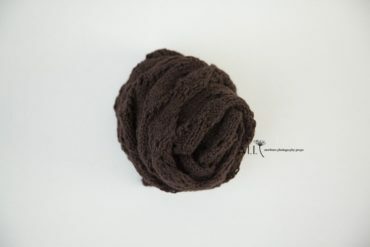 Textured hand knitted wrap in dark chocolate. A new addition to our unique and amazingly popular hand-made vessels collection. 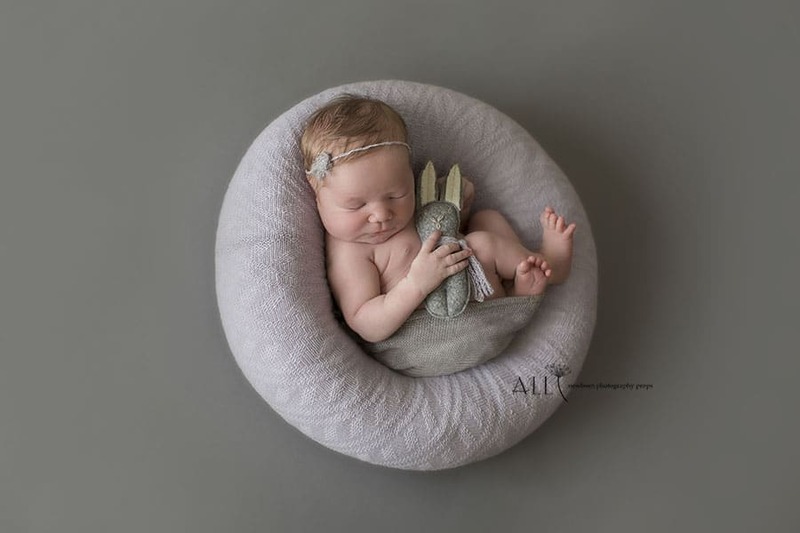 Use it with the best newborn posing pillow ‘Create-a-Nest’™, beautiful knitted newborn wrap, pair with a bonnet or headband tieback… Trust us, you’ll never tire of the ways to create newborn photography setups with this timeless vessel. 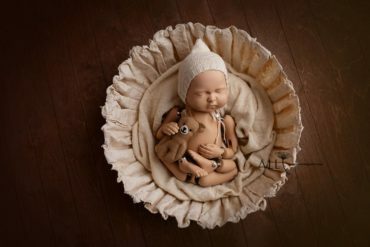 Inspired by perfectly imperfect sand waves, this vessel symbolizes the greatness of the universe, emphasizing the magnificence of a new human being’s coming into this world and the unforgettable joy and happiness of the family. 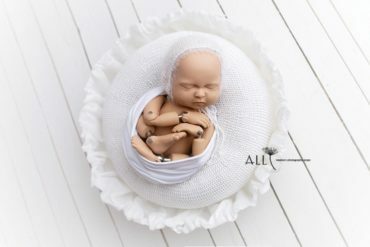 Exclusive handmade newborn baby photography prop – charming unique work of art created by co-founder Lina and can be found here and only here. 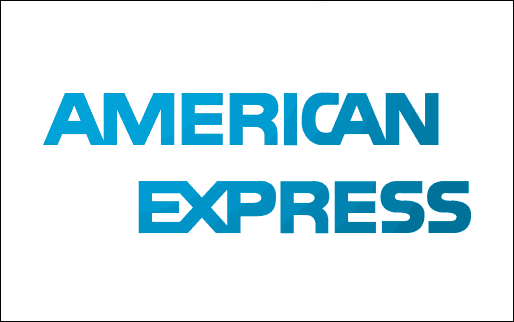 The vessel may not have the correct form of a circle. This enhances its picturesque organic quality. It is not as strong as a wooden vessel. 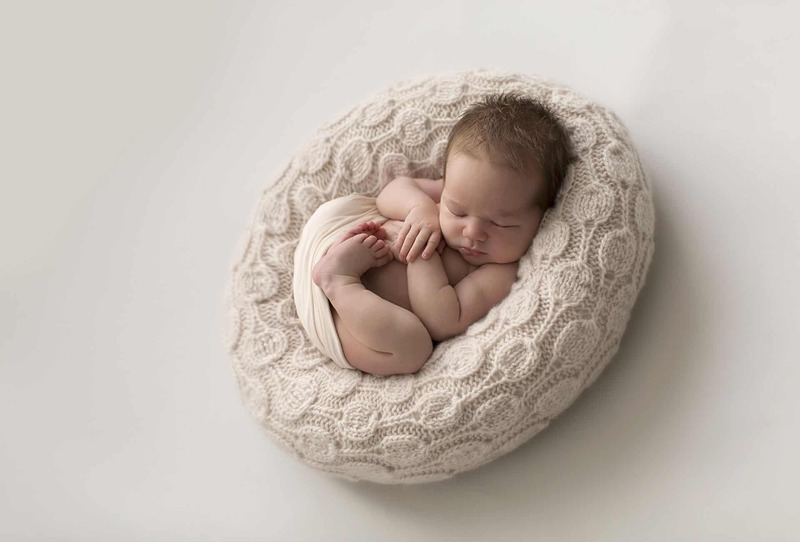 However, it is strong enough to keep its own shape even when the baby is in it as you can see in the pictures. Even though it is fairly strong, you would need to take a bit more care of it than you would of a wooden vessel. Each one is unique and made by hand one at a time and will vary slightly in their own unique qualities as far as colour and shape. By purchasing you are agreeing to accept slight variation in colour, size, shape and texture due to the handmade process. 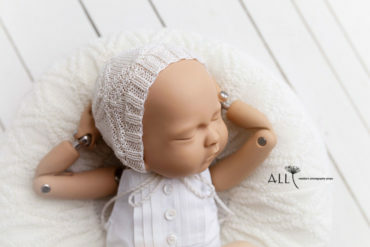 Forever perfect, fluffy newborn baby bonnet in a striped pattern. Neutral, check. Quality, check. Style, check. Fun, check. Timeless, check. Unisex, check. Sassy, check. Durable, double check. 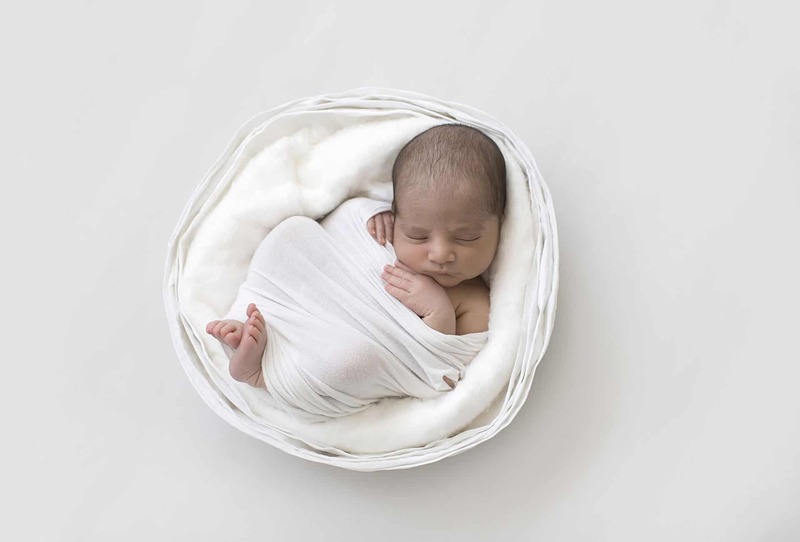 Bundled in shades of white, this newborn baby photography prop collection makes a great set up for a newborn boy and, trust us, you’re also gonna want to use it for a newborn girl. 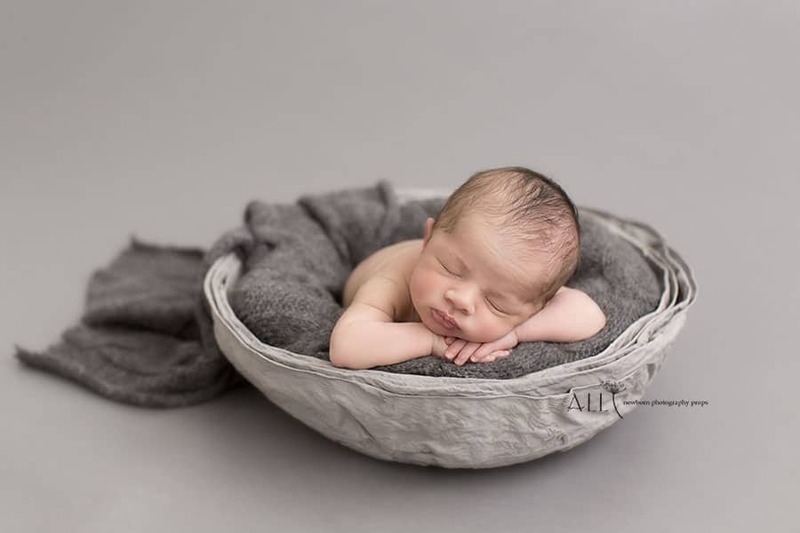 All newborn photography props used in this setup listing below. 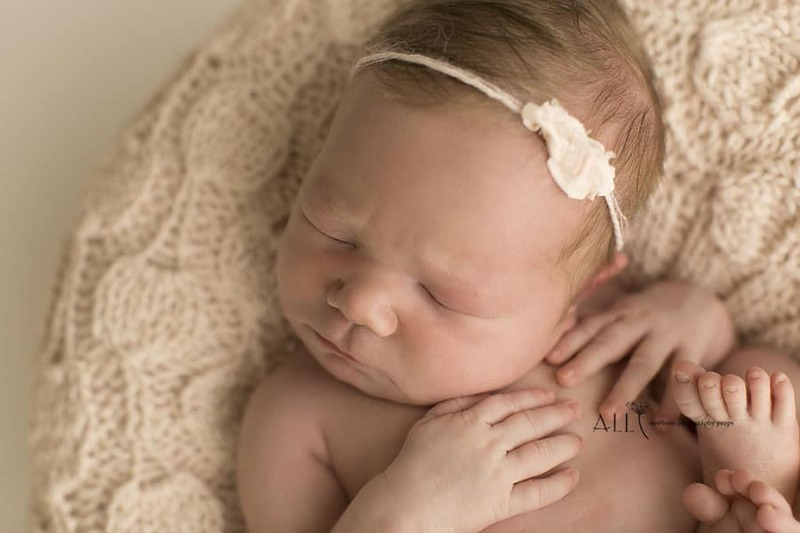 Perfect for newborn baby girl photography set up, this charming collection combines a unique hand made vessel, fabulous newborn posing pillow ‘Create-a-Nest’™, super soft and stretch jersey wrap and a gorgeous coordinating headband tieback. 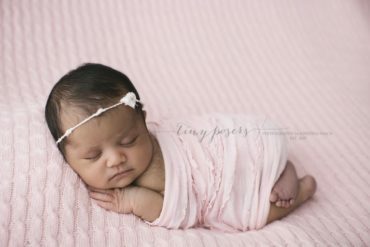 With splendid artificial flowers and tiny beads, this headband tieback is an awesome take on newborn baby girl photo props (plus, it goes with absolutely every prop you own). 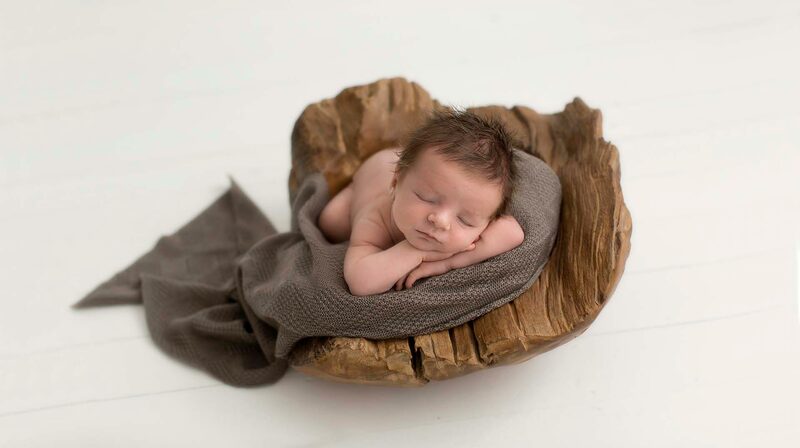 Hello, new favourite newborn photo session setup! 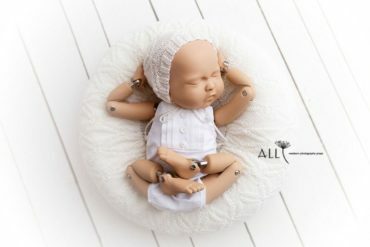 This unique hand made vessel perfectly paired with fabulous newborn posing pillow ‘Create-a-Nest’™, lacey bonnet and darling newborn baby romper in matching neutral white. 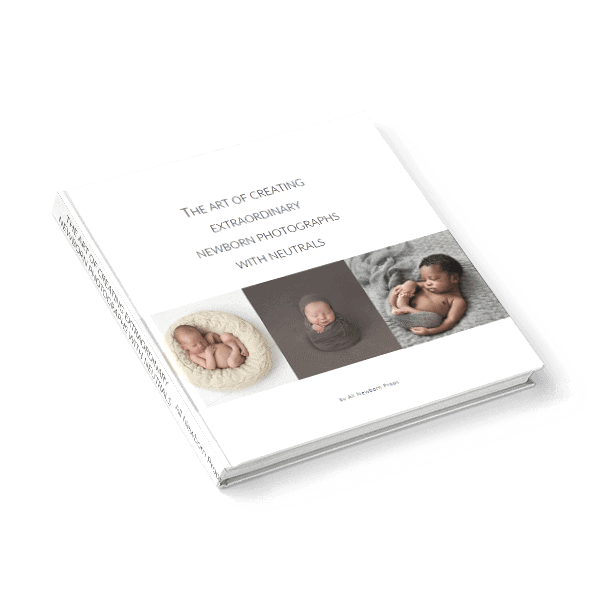 An easy timeless newborn photography prop bundle that you can use forever. Bonus: reversible romper looks as gorgeous on the girlish side as it does on the boyish side. 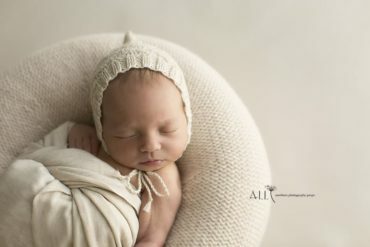 All newborn photography props needed listing below. 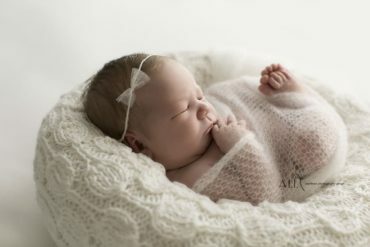 Flattering and feminine, this elegant newborn girl bonnet is made of beautiful lace with scalloped edges in white with extra long ties. Just make a marvellous bow for an astonishing look. Complete the look with Sandy Posing Pillow and Sandy Romper. You will love everything this headband tieback. 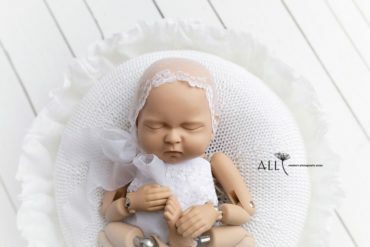 Quality is great, size is perfect for a newborn girl. 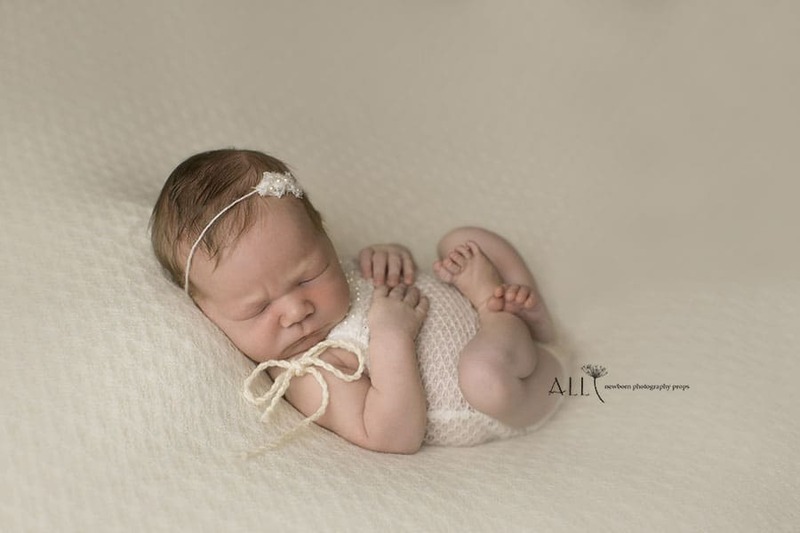 An easy way to finish a newborn girl photo set up without trying too hard. 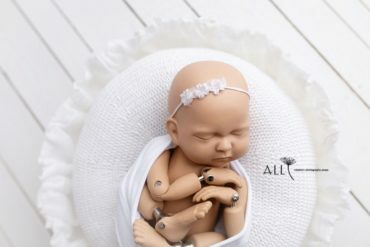 This newborn baby prop bundle is a charming collection for all the cutest little clients of your newborn photography studio. 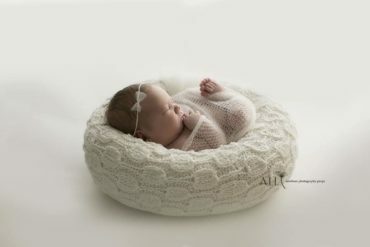 A fabulous newborn posing pillow ‘Create-a-Nest’™, coordinating bonnet and darling newborn baby romper combine for a charming look with this three-piece set in shades of white. Have it both ways with our two-in-one newborn romper in neutral white. This modern button-front boyish style reverses to charming girlish style with gorgeous lace ruffles finished with tiny hand beaded artificial pearls. Darling reversible newborn romper for girls on one side and for boys on the other. Complete the look with Sandy Posing Pillow and Sandy Tieback or Sandy Bonnet. 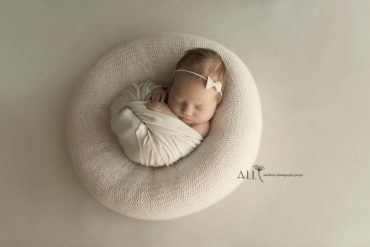 Sensational and enchanting, our vintage-inspired collection of unique newborn baby photography props. 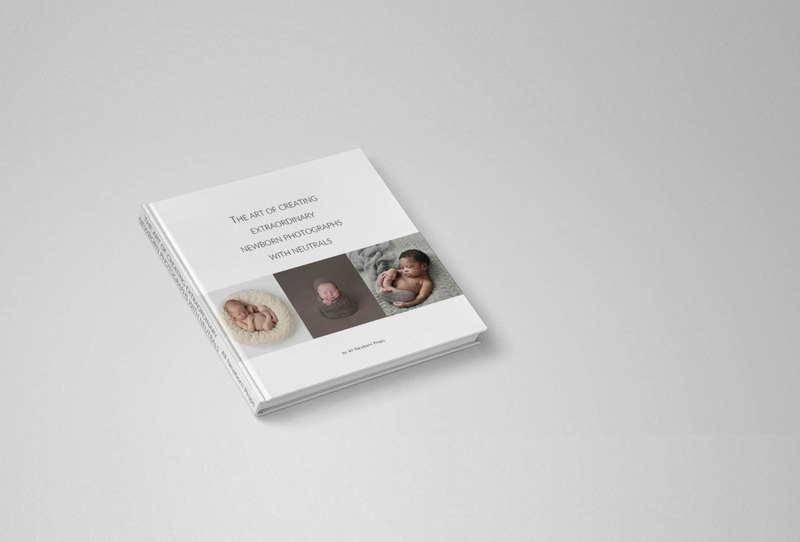 So extraordinary and luxe, your clients will want to see their babies in it. 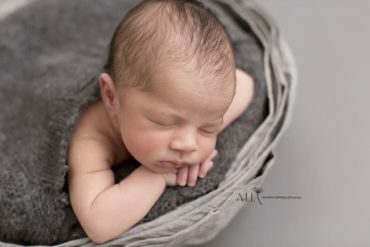 All newborn photography props used in this setup can be found here and only here and for your convenient shopping listed below.